This commercial takes the concept of artisanal cheese to a whole new level—and it's not even trying to sell cheese. 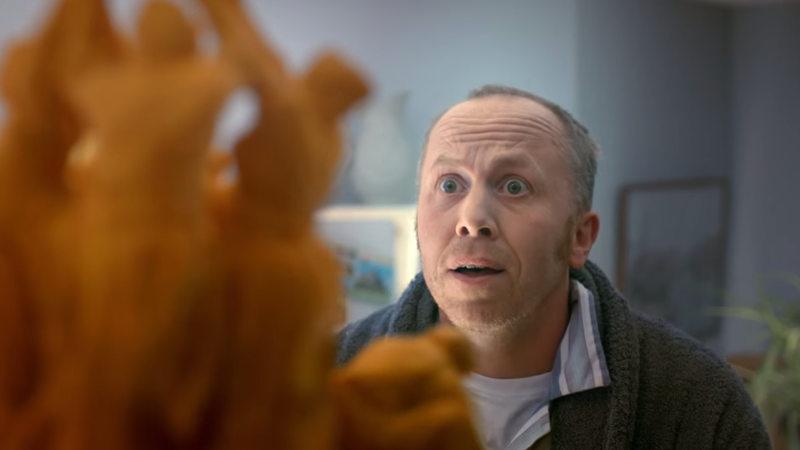 In an amusing 30-second spot for Branston Chutney, Mcgarrybowen channels a classic scene from Steven Spielberg's Close Encounters of the Third Kind. But instead of Richard Dreyfuss shaping an alien-inspired, mashed-potato sculpture, it's some guy who's not Richard Dreyfuss topping off his own intricately-carved fromage masterpiece, with a cracker and schmear of chutney. "Whatever you make, make it special," the voiceover says. The ad, titled "Chutney Mountain," certainly embodies that spirit, in a slightly unhinged kind of way. It's not as sweet as Branston's "The Apologist" from a few years back, but some viewers might find it less sappy and possibly more memorable. Of course, there's also the likelihood that everyone who watches it will just end up craving cheese over chutney.